Manila Bay is now Instagram-worthy, again! Thanks to the restoration that the government has initiated. The once-beautiful tourist spot has a long way to go. However, the government needs to re-educate citizens from further polluting its waters. While rehabilitation was still ongoing, some people went back to littering the now clean Manila Bay. So what better way to re-educate these people but by tough love. The MMDA is now stern on reminding citizens to stop littering. Recently, a teenager was caught throwing an ice candy plastic along Manila Bay. Hopefully the Manila Bay cleanup will actually inspire people to actually keep it clean and avoid littering in the area. I feel that even if manila bay was so thoroughly cleaned it won't be enough if people are still not disiplined with their waste management. No matter how much you clean, it wouldn't matter if people still keep littering. Though his punishment was not grave enough, the teenager received a reprimand and a penalty from the Metropolitan Manila Development Authority (MMDA) for littering. 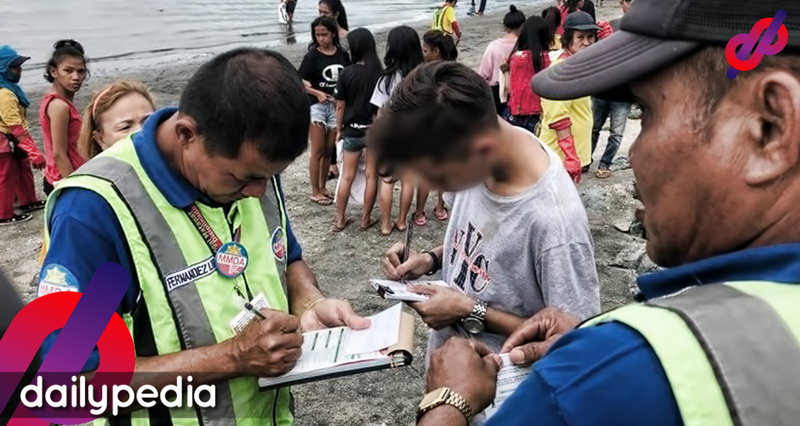 MMDA Manila Bay Cleanup Operations head Alfredo Andres announced that they have already deployed at least 30 anti-littering enforcers to patrol the Manila Bay. What are your thoughts on this? Is Manila Bay’s picturesque beauty temporary or for keeps? Give us your opinion on the comment box below and please leave a like and share.